UL Safety Standards now available online! Hi DIYers! You may be pleased to learn that Underwriters Laboratories (UL) is now allowing online open-access to their library of UL Safety Standards. The catalog can be viewed by any installer, organization or safety and security enthusiast. This includes more than 1,400 safety standards. UL is the world's leader for maintaining consistent and reliable safety standards. Their safety standards cover nearly every electrical appliance found in residential and commercial locations. The company marks equipment as certified after strict and rigorous testing. Its stamp of approval is global symbol for safety. UL currently operates approximately 46 laboratories and 200 inspection centers in more than 70 countries. For manufacturers of security equipment, receiving UL approval is crucial for ensuring the public that their products are safe, trustworthy and reliable. UL Standards are also important for installers who want to ensure that their work is up to code and of the highest-quality. According to UL, making their catalog of Safety Standards accessible to the public is a major step for keeping their standards relevant and ensuring that the entire safety industry stays educated. We think it's great that UL has taken this step to make their safety standards accessible to everyone. This truly benefits the DIY security industry, as DIY installers will now have an easier time in safely completing their projects and meeting the appropriate standards. If you're a DIY user of a security system, we strongly recommend that you follow these standards to achieve the most reliable and consistent installation possible. You can view the UL Safety Standards Catalog here. We hope that this helps to make your life easier as a DIY Alarm Grid customer! The AT&T 3G and 4G Sunset is Coming! Alarm Grid wants all of its customers to be aware that AT&T is now taking steps to formally discontinue their 3G and 4G networks. This is very important for anyone looking to activate an AT&T 3G or 4G communicator, as well as those who currently use either network with their alarm system. Starting Wednesday June 26th, 2019, it will no longer be possible to activate a new AT&T 3G or 4G Communicator with AlarmNet. If you want to activate an AT&T 3G or 4G Communicator on a Honeywell System for use with Total Connect 2.0, you must do so before this date. Additionally, if you deactivate an AT&T 3G or 4G Communicator for a Honeywell System on or after this date, then you will not be able to reactivate it. Trying to reactivate a deactivated communicator is considered the same as an activation. Please note that this only applies to AT&T 3G and 4G Communicators on Honeywell Systems that are used with Total Connect 2.0. Alarm.com has not announced any deadline for activating an AT&T 3G or 4G Communicator. Alarm Grid will post any new information as it becomes available. For now, the deadline only affects communicators being used with AlarmNet. A sole exception applies to any AT&T 3G or 4G Communicator that was manufactured within the past 180 days. These communicators come with SIM cards that are pre-activated by AT&T, and they can be continued to be activated for the next 180 days, even after the June 26th, 2019 date has passed. You will not be able to activate the communicator after the 180 day period has elapsed. You will also not be able to deactivate the communicator and then have it reactivated. You can check the manufacture date both on the box and on the radio label sticker on the communicator. Additionally, the AT&T 3G Network is set to be shutdown in February 2022. After that, all AT&T 3G Communicators will stop working entirely. This applies to any AT&T 3G Communicator, including those used with Total Connect 2.0 or Alarm.com. End users will need to upgrade to a new communicator or alarm system to maintain cellular communication. At this time, we do not have a firm date for the shutdown of the AT&T 4G Network. In order to maintain an active cellular communication path, it is crucial that you upgrade to an LTE communicator. LTE stands for "Long-Term Evolution", and AT&T is expected to support their LTE network for many years to come. Most alarm systems that we support currently have an LTE communicator available, while others should be releasing one in the coming months. We recommend checking through our selection of cellular communicators to see if an LTE communicator is available for your system. If you are affected by the AT&T 3G/4G Sunset, now is the time to take action. You still have an opportunity to keep your system monitored or upgrade to a new system if necessary. The best thing you can do is contact Alarm Grid immediately. We can verify which communicator your system is using if you aren't sure. If you do need an upgrade, we can make a recommendation of which communicator to go with. Some systems may have an LTE communicator readily available, while others may have one set to be released in the coming weeks. Unfortunately, some users may need to upgrade to a new system entirely. The experts at Alarm Grid know exactly what you need to stay monitored, and we can present you with all the possible options. Remember, by upgrading to a newer LTE communicator, you are guaranteeing that you equipment can stay monitored for many years to come. We fully expect that LTE networks will remain active and in-service even as 5G technology begins to emerge. Alarm Grid is on your side. We want you to stay monitored and protected. That is our absolute top priority as a company. If you are affected by the AT&T 3G/4G Sunset, we urge you to reach out to us. Likewise, we also urge you to reach out to us if you are not sure. We can check your equipment and confirm whether or not an upgrade is needed. The best way to reach us is to send an email to support@alarmgrid.com. Our team will reply to it as soon as possible so that you receive the support you need. You may also call us at (888) 818-7728 during our normal business hours of 9am to 8pm EST M-F. We look forward to helping you determine the best solution for your home or business. Note: For information on the Verizon CDMA Sunset that went into effect last year, please click here. Hi DIYers! We're here with the latest video recap from Alarm Grid. Our team managed to put up 9 new videos during the past two weeks, and we are eager to share them with you. Take a look at these new videos, as Alarm Grid techs teach you how to get the most of your security system! Joe covers the process of enrolling a Honeywell 5800COMBO with a Honeywell VISTA Alarm System. In order for the sensor to work with the system, a 345 MHz wireless receiver must be added.The sensor will require five zones for full functionality. These zones are for smoke/heat detection, CO detection, low-temperature detection, maintenance, and end of product life. Each zone must be programmed individually. If you don't want to use a particular function, you can skip programming that zone. Joe demonstrates the audio streaming feature on the Qolsys IQ Panel 2 that is compatible with certain Alarm.com Cameras. The feature is available for Qolsys IQ Panel 2 Systems that are running firmware version 2.2.1 or higher. 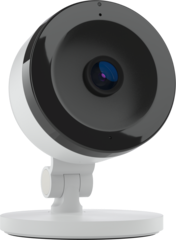 By using this feature, the user can have a live conversation with whoever is at their camera right from the IQ Panel 2. The option of "Audio for Non-Doorbell Cameras" must be enabled by the user's alarm monitoring provider. The panel and the Camera should be connected on the same WIFI network. How Do I Setup Multi-System Account Access in Alarm.com? Joe shows users the process of linking multiple Alarm.com accounts together. The benefit to do this is that the user will be able to control all their Alarm.com locations conveniently from a single login. This is great for users who operate security systems across multiple locations. The pairing process must be completed using the Alarm.com website. The user will need to provide the username and password for any account they want to pair when syncing the different Alarm.com accounts. Jorge completes the process of upgrading a 2GIG GC3 to use an LTE cellular communicator. An example of an LTE communicator for the 2GIG GC3 is the 2GIG LTEV1-A-GC3. When swapping out the old communicator, the user should make sure to power down their system first. Failing to do this could result in system damage. By upgrading to an LTE communicator, an end user will enjoy faster speeds and greater reliability. They will also extend the life of their system, as LTE is expected to remain in service well into the distant future. Jorge explains why some users might experience trouble when trying to program newer Honeywell SiX Series Sensors with an older Honeywell Lyric Alarm System. The problem occurs because the newest SiX Series Sensors have an updated MAC prefix that is not compatible with Lyric Systems that are not running at least firmware version MR7 or higher. Any customer who is monitored by Alarm Grid can have the latest firmware pushed down to their Lyric System. This is a free over-the-air firmware update. Jorge teaches users how to enroll a DSC PG9929 Key Fob to a Qolsys IQ Panel 2 Plus. The IQ Panel 2 Plus Systems have PowerG daughtercards that allow them to support the 915 MHz PowerG Sensors. However, these sensors enroll in a unique manner. The system should be in its auto-enrollment mode. The user must then press and hold the enrollment button, which is the star (*) button for the PG9929. The button should be held until an LED light appears for a second time. They can then release the button to enroll. Jorge demonstrates the process of enrolling a DSC PG9938 Panic Switch to the Qolsys IQ Panel 2 Plus. The PG9938 is a personal panic switch that can be enrolled with the IQ2+ like any other PowerG Sensor. Pressing this button will trigger an immediate system panic. The device is perfect for elderly or disabled individuals who may need to call for hep in case of an accident or fall. It can also be used to trigger a panic alarm from virtually anywhere on the property. The button must be pressed and held, which helps to avoid false alarms. Joe tells users which thermostats will work with Total Connect 2.0. 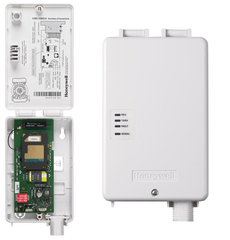 The simple answer is that Z-Wave thermostats from any manufacturer that can enroll with your Honeywell Alarm System, along with most Honeywell WIFI Thermostats can be operated through Total Connect 2.0. However, Z-Wave thermostats will offer greater functionality through TC2 than WIFI thermostats. This is because only Z-Wave thermostats can be used with TC2 Smart Scenes. But certain WIFI thermostats can be used with other platforms like Apple HomeKit. Jarrett teaches users how to put the Honeywell Lyric Controller into Arm Stay mode. This is the arming mode to use if someone is going to remain inside the building. In Arm Stay mode, all interior zones are automatically bypassed. This way, the end user can move throughout the building without having to worry about setting off an alarm. However, entry/exit zones, perimeter zones and 24-hours zones will still respond as if the system was set to Arm Away. Get Dual-Path Monitoring from Alarm Grid! Hi DIYers! Today, we're going to discuss why dual-path alarm monitoring is so great. Simply put, it is the most reliable alarm monitoring available. This fast and reliable communication path offers all the benefits of both IP monitoring and cellular monitoring in one convenient package! Dual-path monitoring means that the security system uses two communication paths for alarm monitoring service. The vast majority of the time these two communication paths are IP (WIFI or ethernet) and cellular. While it is technically possible to use POTS (plain old telephone service) connectivity as one of the communication paths, this is becoming increasingly rare due to to the poor performance of phone lines. For our discussion, we will assume that dual-path is referring to IP and cellular connectivity being used together on the same system. Depending on the system, dual-path monitoring is performed in different ways. Panels that use Alarm.com will send out all alerts and notifications across both IP and cellular paths at once. These outgoing signals will be sent to Alarm.com, where they will be processed and forwarded to the monitoring station and/or to the customer via text, email or push notification. The first message received by Alarm.com is processed, and the other message is discarded. In this way, Alarm.com assures that each individual signal uses the fastest path available. An important note here is that Alarm.com requires a special cellular radio to communicate with their service. This is why Alarm Grid customers who want Alarm.com must sign-up for a Gold Plan or higher. Alarm panels that use AlarmNet and Total Connect 2.0 behave a little differently. These panels supervise the IP connection. As long as the IP connection is available, all signals are sent via this path. If the panel senses that the IP connection is down, it will then revert to the cellular path. AlarmNet receives these signals and sends them to the central monitoring station and/or Total Connect 2.0. From there, TC2 forwards the appropriate notifications to the end user's phone or email address based on the user's notification settings. While it's technically true that an alarm system only needs one active and reliable communication path for monitoring, using a dual-path setup with two active communication paths offers some key benefits. Whether your system uses Alarm.com or AlarmNet/TC2, dual-path connectivity will let you be sure that your alarm signals are always received and processed successfully. A dual-path connection can be a saving grace if one signal path fails. While having an IP or cellular signal fail to reach its intended destination is quite rare, it certainly happens every once in awhile. But with dual-path connectivity, it's okay if one signal doesn't make it through. As long as the other signal still reaches its intended destination, the end user's monitoring service will continue to work as intended. Signaling on either path will accomplish the same goal. Whether both paths are utilized at the same time or only the cellular path is used due to the IP path being down, either will provide the same information. Whichever signal reaches the destination will be processed. More often than not, it's the IP signal that fails to reach its intended destination. Most people will still experience short and temporary internet outages from time to time. Additionally, a power outage can knock out a router and cause the internet to go down. If this were to happen during an alarm event, and your security panel only used an IP communication path, you would certainly be in a very troubling situation. For that reason, you will definitely want that cellular backup to keep your home safe! In fact, this is why we generally view modern cellular service as superior to IP connectivity. Cellular communication is extremely reliable and consistent, making it perfect for alarm systems. Cellular towers almost never go out of service, and coverage maps are continuously increasing in scope. This allows cellular to reign supreme as the single-best communication path. You might be asking yourself - why not just use cellular only? That is because IP connectivity is still technically faster in most cases. Plus, in the highly unlikely event that cellular service is ever down, you can actually use your IP service to back it up. While it's incredibly rare for a cell tower to be out of service, it has happened before! Also, our cellular monitoring plans already include internet anyway. So what do you need to achieve a fast and reliable dual-path communication setup? You just need a compatible system and a Gold Level Plan or higher from Alarm Grid. Your system will need an IP communicator and a cellular communicator both installed. Currently, the only system we sell that is both WIFI and cellular ready right out of the box is the Qolsys IQ Panel 2. This also includes the Qolsys IQ Panel 2 Plus Systems. Most other alarm systems can also be configured to use a dual-path setup. However, you may need to purchase an IP communicator or a cellular communicator separately. We also advise checking out our kits, which often include both communicators. If you're looking to get started with monitoring service, we invite you to check out our alarm monitoring page for more information. Remember, you will need a Gold Plan or higher for a dual-path setup. The Gold Plan is listed as "Cellular Monitoring", but it includes internet connectivity as well. If you have any questions, you can always contact us at support@alarmgrid.com. For users who prefer to speak on the phone, you can call (888) 818-7728 to talk with one of our security planners. We operate phone hours from 9am to 8pm EST M-F. We look forward to working with you and helping you achieve your security goals! Hi DIYers! As you probably know by now, Amazon Alexa is a great tool to pair with any alarm system using Total Connect 2.0 or Alarm.com. We thought that it would be nice give a quick refresher on how integrating Amazon Alexa with your home security system can make your life easier. If you're like many people, you already have an Amazon Alexa device installed in your house. These devices offer great convenience and entertainment, and they are extremely simple to get started with. You can get updates on the news, weather and so much more. Some users even just keep Alexa around to ask random questions or to kill some time playing interactive games and solving brain teasers. Alexa really is great for anyone looking for an easy way to try out smart home functionality first-hand. You don't necessarily need an intricate and fancy Amazon Alexa network to start using voice-control to operate your home alarm system. Even a basic Alexa Device like an Echo Dot will allow you to get started. You can set up your Alexa Device like normal and then integrate your alarm system later if you feel like it. There's no requirement to do it right away. But once you get started, you'll probably wonder how you ever lived with out the integration. The first thing you need is a security system with access to either TC2 or ADC. This will require active monitoring service with an alarm monitoring company. Alarm Grid offers top-quality monitoring service and a wide variety of monitoring plans that include access to either of these platforms. We recommend checking out our monitoring page for more information about our plans. After you sign-up and activate your system, we will send you the resources needed to create your TC2 or ADC account. Amazon Alexa integrates with both platforms using respective Skills. Successfully integrating your Alexa Device with your TC2 or ADC account is incredibly simple. First, open up the Alexa App on your Android or iOS device. Then open up the Skills & Games section. Do a search for either "Total Connect 2.0" or "Alarm.com" depending upon the interactive platform you use. You should be able to quickly find the appropriate Skill. From there, choose "Enable Skill", and follow the necessary steps to complete the integration. The pairing process will involve providing your Total Connect 2.0 or Alarm.com account information. The Alexa App will walk you through the entire process and get you started in no time. Once the integration is complete, you'll have a completely new use for your Alexa Device! What's really exciting is how you can control your system using your Alexa Device. Both Skills will allow you to arm your system, check the current system status and even run smart home automation scenes using quick and easy voice commands. You might say "Alexa, Ask Total Connect to run the Movie scene", or "Alexa Ask Alarm.com to set the thermostat to 70 degrees". There really are so many possibilities! At this time, the Alarm.com Skill is a little bit more robust than the Total Connect 2.0 Skill. Both Skills currently allow for arming, checking current system status and quickly executing smart scenes. However, only Alarm.com allows users to disarm using voice commands and to control smart home devices on an individual basis, not necessarily through programmed scenes. We suspect that Total Connect 2.0 might also allow individual device control through Alexa at some point, but for now it is not possible. If you're an Alarm Grid customer with questions about Amazon Alexa, you can always reach out to us to learn more! The best way to contact us is to email support@alarmgrid.com. You can also call us at (888) 818-7728 during our normal business hours of 9am to 8pm EST M-F. We look forward to hearing from you! Is a Used Security System Right For Me? If you're looking to get started with DIY home security, then your first step is usually to get a system. What many people don't realize is that they don't necessarily need a brand-new panel and sensors to get started. Most users can achieve dependable security setups with used systems. Really, the decision to whether you get new or used equipment comes down to personal preference. For some users, there's nothing quite like taking a fresh panel out of the box and appreciating its modern beauty and shiny exterior. We understand. It's fun. Believe it or not, this is actually why many of the people at Alarm Grid chose this profession - we love working with the latest and most advanced security equipment on a regular basis! For other users, this might not mean as much. They might not care how their system looks or if it is technically the most advanced model. They just want a reliable piece of equipment that will keep their home or business safe for many years to come. And that's fine. Alarm Grid embraces these customers just the same as those who are willing to shell out thousands of dollars for brand-new state-of-the-art equipment. In fact, we often view trying to use existing equipment as the true DIY spirit. If you have it and it works, why replace it? From our perspective, we don't really care whether you use new or used equipment. We just want to get you monitored and keep your home or business safe. Our monitoring plans are not dependent upon which system and sensors you use. They are dependent upon the services you receive. Customers pay higher monthly fees for necessary services like cellular connectivity, central station monitoring, access to an interactive service platform like Total Connect 2.0 or Alarm.com, smart home automation features and video surveillance. In other words, your monitoring fee is not affected by whether you use a brand-new Honeywell Lyric Controller with encrypted sensors or a 15-year old VISTA Panel running the same hardwired sensors since day one. If that VISTA is running cellular and the Lyric is WIFI-only, then the VISTA will have the higher monitoring costs. It's as simple as that. So really what you should be doing if you are new to monitoring is finding out what services you need. When you think about it, the main job of an alarm system is being able to send reliable outbound alerts. Everything beyond that is just used to add extra features or to improve upon the end user's experience. It doesn't matter whether your system is brand-new or 20-years old. What does matter is whether or not it can function reliably based upon today's standards. The main reason why alarm systems ultimately become obsolete is because they cannot keep up with the latest communication technology. These days, if a system cannot support cellular communication through an LTE network, then it could be considered obsolete. Older 2G networks are already a thing of the past, and 3G networks should follow suit in the coming years. For a long-term investment, getting on an LTE network or higher is a must. But not all alarm system cellular communicators are created equal. Older modules can only connect to older cellular networks. And when these older networks become discontinued, the communicator becomes obsolete. The alarm manufacturer needs to decide whether or not it is worth releasing a new communicator for this older system. This is more difficult than it might initially seem. Releasing a new communicator might require a major system firmware update that could be difficult to apply, and many people might have already moved on to a new system. The reality is that sometimes it's just best for an alarm manufacturer to drop support for a panel and try to steer their customers to their newer offerings. This is how they stay competitive and move the industry forward. What can be difficult for customers is knowing when they are best reviving an older system and when it's time to just buy a new model instead. There are many older panels that can do nearly anything a modern alarm system can. They can receive communicator upgrades to work across faster and more reliable networks. They can have smart home automation modules installed to support Z-Wave devices. Many even have touchscreen keypads available for a better end user experience! You just need to ask yourself if the system you are looking at can support a proper communication path and whether or not it can fulfill all your needs. If you do decide that an older system is the way to go, then we think that's great! Our team will certainly help you embrace the task of helping you get your used alarm system up and running with Alarm Grid monitoring services. We even had s few tips for helping you find older equipment. First and foremost, you should look around you. For example, you might have moved into a new home with an existing alarm system. Or maybe your friend or loved one has a system they don't use any more, and they don't mind giving it to you. Even if you just find some old sensors, they might be a start. Check around and see if you come across some older systems. You might be surprised! If you do need to make some purchases, why not try an online auction site or your online classifieds? There is often perfectly functional security equipment available at shockingly low prices. You may be able to buy it for yourself and get it monitored. Just make sure to find out what the panel can and cannot do before you buy it! We strongly recommend getting a system that can support cellular communication and access to an interactive service platform. Used security sensors are also often a great option, since they can usually be obtained at a fraction of the price! For users who want a quick and easy answer, they might consider buying refurbished equipment from Alarm Grid. We currently offer options for refurbished Honeywell Lyric Alarm Systems and refurbished Honeywell VISTA 21iP Systems. This equipment is sent to us directly from the manufacturer, and it is guaranteed to work just as well as a brand-new system. This way, you can get a system at an affordable cost and know that it will work just as well as a new one. If you're looking for used alarm system equipment, you don't have to go at it alone. Alarm Grid is here to help you so that you can get monitored. We can answer your questions about used security panels and sensors and determine whether or not they are right for your needs. We recommend sending an email to support@alarmgrid.com with any questions you might have. We also offer phone support for those interested in our monitoring services. Just call (888) 818-7728 during our normal business hours of 9am to 8pm EST M-F. We look forward to helping you find the best security equipment for your needs. Save Money on Your Homeowner's Insurance with Alarm Grid! Hi DIYers! Did you know that one of the best perks of owning a home security system is receiving a large discount in your homeowner's insurance? In many cases, an alarm system will pay for itself and save you money in the long-run! This goes beyond most security aspects and considerations. We hear of customers all the time who live in extremely safe areas, and the likelihood of them ever needing to use their security system is quite low. It's fair to wonder why these customers even bother to get security systems in the first place. Well the answer is that these individuals are likely saving substantial money in their homeowner's insurance. Most insurance companies will offer their customers a premium discount of 5% to 10% for simply owning an active alarm system. Some companies even offer discounts as high as 20% in certain areas. The actual rate of the discount is dependent upon many different factors, and it's usually best to check with your insurance company to find out exactly how much you can save. With Alarm Grid central station monitoring plans costing as little as $15 per month, sometimes it's a no-brainer to get monitoring service. Just think about it. You will be adding a new layer of security to your home, and you will have protective measures put in place in case an emergency ever does occur. Better safe than sorry! At the same time, you will actually be saving money just for having this equipment installed and activated. There really is no reason for you to not have an alarm system if you plan on maintaining an active homeowner's insurance policy! Receiving a Certificate of Alarm (CoA) that you can pass on to your insurance provider to receive a discount is very easy. Just activate a system with Alarm Grid. We will run tests to make sure your system is successfully sending signals to a central station. From there, you can download the certificate and send it online to your insurance provider. More information can be found here. If you would like to learn more about Alarm Grid monitoring service, we invite you to check our alarm monitoring page. This page is also a great spot to sign-up for new service. If you would like to talk with us first, you can always email support@alarmgrid.com or call us at (888) 818-7728 during our normal business hours of 9am to 8pm EST M-F. We look forward to working with you and helping you save money on your homeowner's insurance! Don't Let Other Alarm Companies Lock You Out of Programming! Hi DIYers! We recently had a customer with an all too common story that is worth sharing. This customer obtained a Honeywell VISTA 20P System and was getting it activated with Alarm Grid. We had started the activation process, and began programming. But then the customer got cold feet. The customer then decided to explore their options and possibly have their system monitored by a different company. That's fine; we hadn't activated their system yet, and we always give our customers the option to cancel their service. We wished that customer the best and then moved on as if nothing had happened. But a few days later, this customer decided to come back to us. They weren't happy with the service the other monitoring company offered, and they realized that Alarm Grid was the best option all along. We laughed it off, and decided to get started with the activation. The only problem was that the other company had actually locked the customer out of *29 communicator programming! Because of that, we had no way of properly setting up their communicator for monitoring. The only options for that communicator were to activate it with the other company or to convince the other company to release it. There was nothing that we could do with that communicator, even though it was perfectly capable of being monitored just a few days prior. We couldn't even backdoor into programming, since only local communication programming was locked out. In the end, the customer had to buy a whole new communicator! Admittedly, our technical support team found this pretty funny. The customer should have just stayed with Alarm Grid all along! But joking aside, there is a serious concern about users being locked out of programming. Companies often do this to prevent customers from taking their equipment elsewhere. They will essentially be locked in with that company. A company may also force a customer to rely on them for programming their system so that they are forced to pay extra service fees. In this case, the customer was lucky. They were only locked out of communicator programming, and they only needed to buy a new communicator. There are deep-level programming options that could have permanently locked them out of system programming entirely. If that were the case, the customer would have needed to purchase a whole new system. It really could have been a lot worse! Alarm Grid never locks its customers out of programming. We want our customers to be able to access every programming field so that they are empowered and can make their own system changes. We will also never brick equipment and make it proprietary for our use only. If you want to take your system elsewhere, that is your choice. We will cut all ties, and you can take your panel to a new monitoring company. That is the freedom you receive whenever you sign-up as an Alarm Grid customer. We are not saying that every other alarm monitoring company will lock you out of system programming. There are certainly other honest companies out there. But what we can say is that we will never use such tactics. Your alarm system and communicator both belong to do, and what you do with them should be your business. With Alarm Grid, you can be absolutely certain that we will never keep you out of programming or brick your equipment. What the other guys do is none of our business. If you would like to learn more about Alarm Grid monitoring services, we would love to talk to you! The best way to reach us is to email support@alarmgrid.com. If you prefer to speak with a live person, we have phone hours available from 9am to 8pm EST M-F. The number to call is (888) 818-7728. We also invite you to check out our alarm monitoring page for quick information online. You can even sign-up for monitoring right from the page! We look forward to working with you and providing you with all your home and business security needs.